Few questions are more important this time of year than which Christmas tree you should buy for your home. There are some things to keep in mind when looking for the perfect Christmas tree. Real Christmas trees require some care; if you’re planning to travel this holiday season, you may not want a live tree. 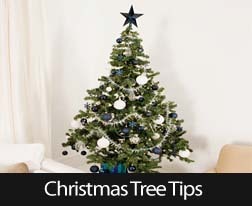 You must water the tree to make sure that it doesn’t lose its needles before Christmas day. The live trees are not fire resistant, the dried out pine needles can get too hot from the lights and may burst into flame. On the other hand, there isn’t any up-keep with an artificial Christmas tree, and many look quite realistic. The plastic Christmas trees have an added bonus of being flame retardant. Then, there’s the convenience of not having to go out in the cold weather to pick the tree out. However, if you’re limited on space, you’ll need to decide the best place to put your tree first. Try to think of how the area will “frame” your Christmas tree. Consider how much traffic goes by the area and whether there will be enough room for the presents to stay safe. Want to buy a home that has space for a bigger tree? I can help. Give your trusted real estate professional a call today.